The Catalan coach took the 'gaurs' to lift the Indian Supercup alongside the Spaniards Ferrán Corominas, Carlos Peña and Edu Bedia. Santi Moar shines with New Mexico. The Galician attacker marked his first hat-trick as a professional in his team's win against Real Monarchs. Moar, who arrived at the Albuquerque team after two great seasons in Bethlehem, is shining in the USL, where after seven days he has seven goals. New Spanish goals in Poland. The last day of the regular phase of the Ekstraklasa took place with great Spanish role. Jesus Imaz and Airam Cabrera scored two doubles with Jagiellonia and Krakow respectively. They also saw goals from Jorge Félix (Piast), Carlitos López (Legia), Jesús Jiménez (Górnik), Joan Román (Legnica) and Javi Hernández (Krakow) . FC Goa, Supercopa. 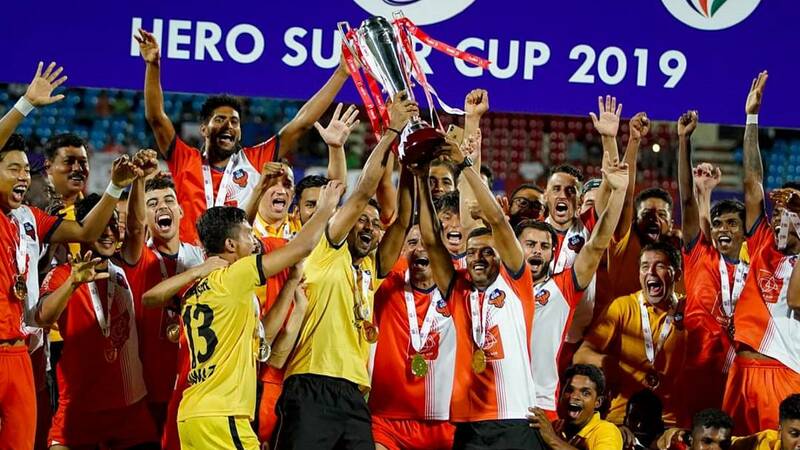 champion The team led by Sergio Lobera, who stayed at the gates of raising the Indian Super League, was proclaimed champion of the Super Cup after defeating Chennaiyin in the final (2-1). Ferrán Corominas overtook the 'gaurs' and Brandon Fernandes sentenced the match. In addition to Lobera and Coro they lifted the title Carlos Peña and Edu Bedia. Juanma Delgado, double and victory. The Valencia striker of Omiya Ardija scored the two goals of his team in the victory by the minimum (2-1) against Yokohama FC. Juanma Delgado has four goals this season and the squirrels, who have won four consecutive victories, are third in the Japanese Second Division. Marcos Gondra wins Hong Kong. Although he has not yet finished his first season in the Asian football, the Basque midfielder of Dreams SC was included among the best players in the Premier League. His team is eighth in the league and will play the Copa semi-finals against Kitchee.